Luba Kassova is a co-founder and director of the international audience strategy consultancy AKAS (Addy Kassova Audience Strategy Ltd), which she set up with Richard Addy to help purpose-led organisations in the UK and globally. 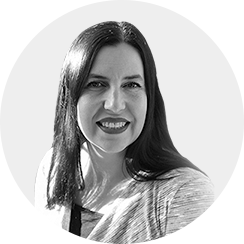 Over the last 18 years Luba has used her passion for telling powerful audience-, supporter- and consumer-centric stories to help organisations develop their strategies, brands, services, products, programmes and marketing communications. Prior to setting up AKAS, Luba headed up Consumer/Audience Insight teams at Cancer Research UK (the largest charity in the UK), at BBC Journalism (the largest international news operation in the world) and at BT Vision (BT’s television arm). Luba has also worked internationally with Discovery Networks Europe, the European Commission, The Hallmark Channel (TV) and the Institute for International and Regional Studies, a leading South-East European thinktank based in Sofia. Throughout her career, Luba has successfully upskilled data reporting teams, enabling them to use their data to generate authentic and innovative audience truths, thereby giving them a voice at Board level. She believes in the power of multidisciplinary analysis including market research, economics, psychology and neuroscience. Luba has an MA in Sociology from Sofia University and an MA in Contemporary European Studies from Sussex University in Brighton. She has a deep understanding of different cultures and people, born out of a peripatetic childhood lived in Asia, Africa and Europe. Luba recently successfully completed the first of three terms in the Executive MSc programme in Behavioural Science at the London School of Economics. She achieved a distinction in Behavioural Decision Science and a merit in Behavioural Science and Policy modules. Luba loves children and is passionate about their wellbeing and the importance of education. She has designed pupil, parent, teacher and school leadership surveys to support primary schools in Merton in their enormous efforts to provide the best possible education for children. Richard Addy is a co-founder and director of the international audience strategy consultancy AKAS (Addy Kassova Audience Strategy Ltd), which he set up with Luba Kassova to help purpose-led organisations in the UK and globally. Richard has over 25 years’ experience working as a strategist and Government economist, advising CEOs, C-suite executives, Government ministers, multilateral organisation executives, charity and foundation leaders, and anyone who cares about their audiences and stakeholders. He is an expert in creatively pulling together strategic frameworks, audience insights and communications approaches for greater audience and business impact. Prior to setting up AKAS, Richard was the Chief Adviser on strategic and audience issues to the BBC’s Deputy Director General who headed up BBC News locally, nationally and internationally. Richard formulated and refined the successful audience, editorial and digital strategies that maintained BBC News’ global reach at well over 250m adults every week. Richard also ran the BBC's Creative Network of facilitators, who were trained to tackle creative and business challenges throughout the organisation. 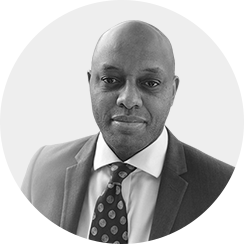 Beyond the media sector, Richard has also worked in the fields of technology, financial services, health and public services. Richard is passionate about using the power of data, and audience and strategic insights for the greater good. He loves understanding how societies and people's individual lives are changing and has developed sophisticated frameworks to help clients understand these better. Richard’s curiosity, multicultural background and creative mind help him to make powerful links between seemingly disparate facts, which unearth new ways of thinking for AKAS’ clients. Richard is a Trustee of Mind, the UK’s leading mental health charity. In addition, he sits on the Advisory Board of the University of Southern California’s Media Impacts Project. He has an MSc in Economics from Birkbeck College, University of London.